Canard provides lift when aicraft is turning regardless of configuration and (in)stability level. While stable canard-wing configuration results in canard causing major vortex drag in level flight due to lift generated by the canard (a pair of tip vortices appear due to differences in pressure between upper and lower surface), if aircraft is statically unstable canard can be unloaded, thus avoiding vortex drag in cruise flight; as a result, tailless canard configurations (either close coupled or long arm) tend to have excellent supersonic performance, since there is no interference drag which appears with tailed configurations. In fact, canard is unloaded in all three Eurocanards (Gripen, Rafale, Typhoon), resulting in a lift-to-drag ratios in level flight comparable to tailless deltas, and lift-to-drag ratios in maneuvre better than that of tailless deltas. In either case, their L/D ratios are better than those of tailed configurations. Wing wake and its downwash diminish horizontal tail’s control effectiveness. However, canard is located in wing’s upwash, meaning that its influence is magnified, which results in the center of the lift being moved forward more than canard size would suggest. This destabilizing effect has in past meant that a very forward Cg position was required, but has proven beneficial with advent of unstable fly-by-wire aircraft. Since aircraft with close-coupled canard are dynamically unstable, they typically show better pitch rate through the angle of attack range than non-canard aircraft of the same configuration. Additionally, large momentary enhancement in lift is observed when canard pitches up rapidly to high angle of attack (this assumes that canards are used for pitch control), thus improving pitch onset/turn onset rate. Canard’s own downwash can impede lift generation of the parent wing at low angles of attack, but this effect can be countered by proper horizontal and vertical positioning of the foreplane. This is to say that canard has to be high in relation to the wing, as can be seen in Saab’s Viggen and Dassault’s Rafale. Additional consideration is wing sweep angle, with 45* being ideal as at that sweep angle canard has relatively little influence on the lift generation. At higher angles of attack, downwash can suppress the flow separation on the wing, thus improving lift and reducing drag. Aircraft with close-coupled canard does not have to have as large amount of statical instability as one with long-arm canard or tail, since close-coupled canard naturally creates an area of low pressure on forward part of the wing. This results in center of lift being moved forward, increasing aircraft’s instability to levels beyond what would be expected by taking lift from the wing on its own. Both canard and wing producing two sets of vortices – one from tip and another from root. In close coupled-configuration, canard tip, canard root and wing root vortices all help increase lift at high angles of attack. Mutual influence of canard and parent wing means that free-roling vortices are stabilized and vortex bursting is delayed, especially at high angles of attack; an additional vortex may be formed on the wing where canard downwash suddenly decreases effective angle of attack. Wing vortex also moves canard wortex inward. As a result, wing’s trailling-edge control surfaces remain effective at far higher angles of attack than in a long-arm or tailless delta configuration, as vortices allow air flow to remain attached for longer and vortex bursting point reaches wing trailling edge at a higher angle of attack than it would without presence of a canard (vortex breakdown is delayed for both wing and canard vortices, increasing effectiveness of both surfaces at high angles of attack). Necessary wing twist is also reduced, as outboard vortices help prevent the wing tip stall, while inboard vortices increase body lift in addition to improving wing lift. Effects of outboard vortices on wing tip also result in improved roll rate and roll response, especially at high angles of attack. This also results in improvement in the maximum lift, which can be as much as 20-30% greater than what is achieved by surfaces in isolation, as well as improved lift for most, if not all, angles of attack (all close-coupled canard configurations discussed in various documents I have read experience lift increase at AoA above 20 degrees, and many experience lift increase at AoA as low as 10 degrees, albeit at low AoA lift enhancement is so minor so as to be insiginificant. At 20 degrees AoA, lift increase in one case was 34% compared to the sum of lift produced by wing and canard on their own. Angle of attack for maximum lift is also increased). Enhancement is largest for canard above and just in front of the wing, and wing camber and twist have no effect on the lift increase; lift improvement is maximized when canard area is 25% of the wing area, and best relation between lift and L/D ratio was achieved in 45*-swept canard. Canard trailling edge and wing leading edge should be as close as possible, but should never overlap else a loss of lift occurs. Beyond Mach 0,9 however, close-coupled canard has little effect on lift. As a result, aircraft with close-coupled canard configuration tend to have better air field characteristics and maneuvering performance than they would if canard was removed. A series of tests with F-4 that had canard mounted on the upper forward portion of the air inlets revealed that addition of canard would allow the aircraft to pull a full g more at 470 kph and 9.000 m, and would also lower the approach speed by 14 kph. Israeli Kfir, a modification of Mirage III, used close coupled canards to improve airfield performance, as did Saab Viggen. Thanks to favorable canard-wing vortex interactions, Viggen achieved 65% greater lift coefficient at approach than a pure delta wing, reducing takeoff and landing speeds for STOL capability. Use of close coupled canard gave Viggen much greater trim control, and allowed it to use elevons to enhance lift at takeoff, where tailless delta’s elevons would subtract from lift. Aside from increase in lift, close-coupled canards help reduce drag in maneuvers at all angles of attack but lowest (10* AoA or less) ones, and reduce drag for the same turn rate compared to the canard-off configuration. There are three primary causes for this. First, since increase in lift is apparent even at low angles of attack, close-coupled canard configuration needs lower angle of attack for the same wing size, or less wing size for the same angle of attack, to achieve same lift-to-weight ratio; this results in the same turn rate being achieved with less drag penalty. Second, close-coupled canard supresses flow separation. Flow separation (stall) is a major source of drag, and in delta wing configurations without close coupled canard, first stall can happen at angles of attack well below those required for maximum lift. Third, close-coupled canard configuration requires less control surface deflection (trim) to maintain same angle of attack, thus reducing trim drag. All these factors combine to reduce drag for given lift. In fact, lift/drag ratio for close-coupled canard configuration can be 10% greater than for canard-off configuration. Additional factor is the design influence. Strongest wing vortices are produced by sharp-edge, highly-swept planforms which have low L/Dmax and thus poor range and endurance, and high approach speed. Thus a selection of a more adequate planform requires an additional mechanism to produce and/or energize vortices. Canard is set at neutral AoA during subsonic cruise, producing no lift and causing minor drag penalty. Position of canard ahead of wing also helps move center of pressure forward relative to the center of mass, creating a naturally unstable configuration. At supersonic speeds, close coupled canard configurations experience less center of lift shift, reducing induced and trimmed drag compared to tailless delta and long-arm canard aircraft. This is partly offset by comparably minor drag from the canard itself. There is little effect on lift or drag during supersonic maneuvers, and close coupled canard combined with ventral intake actually increases supersonic drag. At transonic speeds, benefits are same as on subsonic speeds. Close coupled canard also delays buffet onset and reduces buffet intensity. Additional benefit is controllability at post-stall angles of attack, which is important mostly for safety considerations – close-coupled canard configurations remain controllable at angles of attack up to 100-110*, with no risk of getting trapped in superstall. Further, if FCS is properly developed, close-coupled canard can help dampen roll and yaw oscillations, thus guarding against the wing roll and sideslip; but if FCS is not properly developed, these problems can be magnified. Close coupled canard configurations also have acceptable spin behavior. In emergency, canards can be feathered, rendering aircraft stable or neutral. Vortex from long-arm canard bursts early due to lack of influence from the parent wing, meaning that long-arm canard has no influence on improving lift beyond increase in wing size it provides. This means that it does not reduce drag at high angles of attack as close-coupled canard does, and consequently long-arm canard configuration has higher drag than even standard tailless delta. Zero lift drag is also more likely to be increased as long-arm canard is harder to fit into the overall body area distribution; if done well, however, zero-lift drag of long-arm canard is less than that of close-coupled canard, and cruise drag is also less at subsonic, and possibly supersonic, speeds. However, total instability of aircraft using the long arm canard has to be greater than that of using close-coupled canard for these benefits to be fully realized, since rate of neutral point shift with Mach number is greater than that of close-coupled canard configuration; such difference is not achievable currently as FCS cannot cope with it. Long arm canard will remain inferior in the area of the maneuvering combat regardless of the instability level, making it a better choice for bomber interceptors, supersonic bombers and civilian aircraft than for air superiority fighters. That being said, it is still superior to conventional tailed planforms as it produces immediate response in desired direction. Long-arm lifting canard was used in Mirage “Milan” variant to improve aircraft airfield performance. As foreplanes added lift ahead of aircraft center of mass, they required downward elevons to trim. As a result, lift was added both ahead and rear of center of gravity, reducing takeoff distance and improving maneuverability. Lifting canard is not used on any of Eurocanards as it has severe security issues – if wing stalls first, then aircraft will likely enter an unrecoverable deep stall. Another factor is that it causes major drag penalty in the level flight. X-31 used control canard in conjuction to thrust vectoring in order to achieve post-stall maneuverability, but that canard required large deflections (+20/-70 deg) in order to be effective, while close-coupled canard requires less deflection. While long arm canard does provide longer moment arm (hence the name) and thus potentially higher pitch rate, this benefit is somewhat negated by the fact that close coupled canard can be positioned to produce a low pressure zone at front of the wing which has similar effect. Long arm canard does provide improvement in takeoff rotation, especially compared to the horizontal tail. In terms of high-AoA performance, long-arm canard configurations allow a good pitch-down capability, but are controllable over a narrower AoA range than close-coupled canards, up to some 70*. They are also prone to transonic pitch-up issues, and do not provide notable improvement in spin recovery characteristics. Overall, at speeds above Mach 1 and high lift coefficients canard position has little influence on performance. At low lift coefficients, close-coupled canard may reduce drag somewhat, through overall drag is more dependant on other design choices (wing sweep and thickness, area ruling etc). Close coupled canard does have a major advantage over the long-arm canard when it comes to maneuvering combat at subsonic speeds, increasing transient maneuverability (turn onset, roll onset), instantaneous and sustained turn rate, as well as reducing drag. It also has superior high AoA characteristics as well as post-stall and spin recovery capability; though these can be somewhat limited by physical limitations of control surfaces (canards themselves, elevons or horizontal tail). It also reduces drag at supersonic speeds. Eurofighter design team decided on a long-arm canard since close-coupled canard combined with Typhoon’s air intake position resulted in configuration having unacceptable amount of cruise drag; Gripen and Rafale avoided that problem through competent air intake positioning. Air intake, and consequently canard, position was a consequence of Typhoon being designed for usage of thrust vectoring, and indeed using TVC was shown to reduce trim drag at supersonic speeds. However, while thrust vectoring is a useful addition for designs which show less than adequade aerodynamic performance (Eurofighter Typhoon, F-22, F-15, F-16), prohibitive cost, weight and reliability/maintenance penalties mean that it is not an option for frontline fighter aircraft. Long arm canard has far less influence on maximum lift than close-coupled canard, and does not improve roll performance, or spin recovery characteristics. High AoA recovery characteristics are limited by canard deflection angle. While it does improve pitch performance, that characteristic is shared with the close-coupled canard. Overall, MAC instability is (according to the data I found) 45,61% for Rafale, 37% for Typhoon and 25% for Gripen, which means that Rafale likely has the highest pitch rate of three. As static instability forms a greater percentage of total instability level for Typhoon than it is for Gripen or Rafale, Typhoon’s supersonic maneuvering performance is likely inferior to Rafale’s, though difference probably isn’t large. As a result, close coupled canard is a superior choice for air superiority fighters, which have to be able to maneuver at high angles of attck at subsonic speeds, as well as to cruise and maneuver at subsonic speeds. It can also be useful for a low-level strike aircraft. Long arm canard is only a good choice for aircraft which expect to spend large percentage of time at supersonic speeds (or cruise conditions in general) and do not expect to enter a protracted turning engagement at subsonic speeds, such as bomber interceptors and supersonic transport/passenger aircraft. LIFT ENHANCEMENT USING CLOSE-COUPLED CANARD/WING VORTEX INTERACTION by John M. Kersh, Jr.
EDIT 23.7.2014.: Kfir is a modification of Mirage III, not Mirage 2000. Like many other aircraft makers, Dassault has selected a delta-canard configuration for its latest design. “As we were working with the other Europeans, we started to diverge significantly on the design” explains Bruno Revellin-Falcoz [Director of Dassault’s Technical Department]. “Ultimately, we made some radically different choices. They wanted fuselage-mounted canards while we preferred to locate the canards almost above the wing-root. The key advantage of this configuration was that it would channel the air flow over the wing apex, which is where lift-generating vortices are formed. The Eurofighter Typhoon uses its canards as simple control surfaces. Although this creates a significant lever effect, it loses the positive impact on lift and therefore aerodynamic efficiency. That’s why we are certain that the Rafale can handle much better than the Typhoon at high angles of attack, such as during the crucial phases of dogfighting and low-speed flight. While they were groping around in the dark, we benefited from the know-how accumulated through the Mirage III Milan, Mirage III NG and Mirage 4000 programmes. This entry was posted on August 23, 2014 at 5:50 am	and is filed under Uncategorized. Tagged: aerodynamic, canard, close coupled canard, close coupled vs long arm canard, comparision, foreplane, lift enhancement, long arm canard, position. You can follow any responses to this entry through the RSS 2.0 feed. You can leave a response, or trackback from your own site. Picard! Great news! GAO-14-332 is sending this report to congress! This is the shot for congress to cancel the F-35 program(e)! Wow, excellent. Though I doubt there will be anything of it. By the way, Mirage 2000 also has two small vortex generators just near air intakes. Strakes. These are also used on Gripen and Typhoon, but their function is not so much to improve lift as it is to improve directional stability at high angles of attack. The more I learn about the Eurofighter, the more I get the impression that it was this “designed by committee” sort of compromise that ended up satisfying nobody. Even civilian aircraft seem to have canards these days. That was designed as a compression lift aircraft though. Typhoon was a design by comittee, France – which is the only country besides Sweden to have extensive experience with canard-delta aircraft (in fact, first French canard-delta dates from before the World War II) wanted a design lead, and also wanted Snecma engine to be utilized. From what I gather, French actually got the first request, but British wanted a more powerful engine and a larger aircraft, so French ended up abandoning the project. Now, British had designed a close-coupled canard design as well, but German design was adapted in the end due to politics, and used in BAe EAP and German TKF 90. These designs actually also used close-coupled canard, but unlike original British designs which resembled a Gripen, these had ventral air intakes which did not work with close coupled canards. There have been other efforts too. 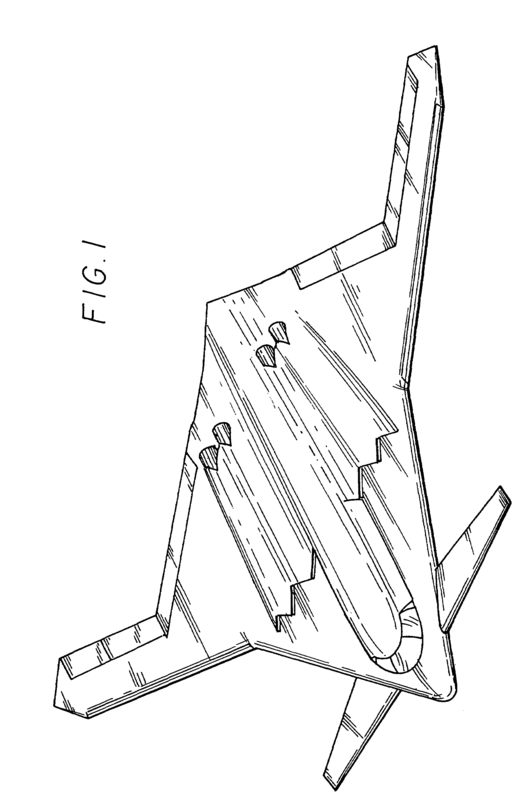 Northrop has patents (I think I showed this) for flying wing canards. Not too sure how that will work out. One would presume that the USAF’s new proposed strategic bomber might make use of these canards? Not too sure though. Canards apparently increase radar cross section in the frontal quarter. On the other hand, given the numbers and the sortie rate, it will not make a difference. The B2 averages 1 sortie per month. The 21 B2s deployed during the 1990s to bomb Yugoslavia, which was the entire fleet, I think averaged 1 sortie per day. Considering this new aircraft may be even more sophisticated, I wonder what the sortie rate will be like. The new bomber will worsen the defense death spiral. Yeah, that bomber is going to be a queen of hangar queens. That being said, from a purely stealth perspective, tailless trapezoidal wing works the best. I’m more interested to see how the wing and canard would interact with each other on a flying wing than anything else. – Considering maintenance to flight ratios have been getting less favorable? What will this thing be? – The F-22 I think cost around twice as much per kg (need to do the math) as the B2. I wonder what the price per kg of plane will be. Quite high as they’ll put some sort of crazy avionics on this plane. Probably not well, it would be hard to position canards properly, either vertically or horizontally. F-22 is a fighter, that might have something to do with it. With the US DoD accounting system in shambles, there’s no way to tell really. The B2’s high cost per kg is probably driven by its stealth coating and electronics. That should stay constant across the 2 bombers, and is a problem shared by the F-22, costly avionics and the stealth coating. The other issue is that their goal is to be able to make this into a very sophisticated drone. That means pretty complex and costly avionics. Either way, it’s probably not very relevant since it will end up with so few sorties. As far as the canards go, there has to be a reason. I suppose we won’t know unless there are wind tunnel tests declassified. There have been many less than ideal or outright unworkable aerodynamic configurations. Flying wing with canards looks like one of these (in design you’ve provided, canards can help pitch, but still add drag and RCS and overall configuration is unsuitable for maneuvering). That will increase price a lot. It does seem like the tailless close-coupled canard may be the best configuration for now. Pair with a turbofan or perhaps a turbojet. Low wing loading, could use wing for fuel storage, and a few other advantages. Only areas of improvement I could see are perhaps making the aircraft a waverider (to take advantage of the fact that the plane will be spending most of its time supersonic). Maybe a flying wing, but the problem is that it still needs a “bulge” for the engine and the canopy in front, so I’m not sure how that would work, along with the untested canard-flying wing interactions. We already discussed it, IIRC, and it wasn’t practical. Canard needs to be properly positioned for it to work, and that needs proper vertical and horizontal distance, which automatically means you need forebody. So blended wing-body may work, but not the flying wing. Perhaps. It wouldn’t be something that would come out in the coming 20 years. It’d be for a next generation fighter. I don’t think it would be possible to refit an existing fighter with it. More so, this would be something to think about for a hypothetical next generation fighter in the 2040s, 2050s. – As discussed, more efficient engines (higher inlet temperatures). This in turn may lead to a slightly better thrust to weight ratio or a slightly larger battle radius. Could consider turbojet or deleting afterburner at some point. – New IRST may become better over time too (advances in both military and civilian world, although we seem to have hit the peak of Moore’s Law). – Missile sensors too will improve, although I suspect so too will countermeasures. The net effect may be that current Pks remain the same. – If a fighter were to go into large scale production, perhaps later revisions could be slightly modified to be a bit more aerodynamic. It’d be one of those things that occurs only once large scale production hits. – It’s possible materials sciences or engineering advancements may lead to a few opportunities for modest weight savings. These are what I consider to be realistic opportunities that in some ways mirror those of the civilian world. It’s interesting contrasting military with civil aviation. For large airlines, an airline built in 1950 would be much less efficient than the latest today. But for military fighters, advancements in jet engine technology, and aerodynamics just led them to become more avionics laden. Others pursued dead end technologies, like stealth, which adds a ton of mass and complexity. That I think is mostly what FLX corrects. I remember watching a documentary on Gripen development where it was said that Typhoon was a bit more unstable and Rafale was less unstable than Gripen. It was implied the Rafale didn’t have much instability in the design. Canard effects are very sensitive on vertical and horizontal positioning, and FCS is also quite complex to develop since canard incidence affects wing lift and behavior. IIRC, one Gripen was lost because FCS wasn’t properly developed. All three Eurocanards are primarly air superiority fighters, so they needed large amount of instability. Actually two Gripen prototypes were lost because of issues with FCS but it had nothing to do with the canards, more it was a general problem of early Fly-By-Wire aircraft , one YF-22 was also lost to the same problem, called Pilot Induced Oscillations. The problem is that in Fly-By-Wire aircraft the pilot’s stick and pedal commands are not transmitted directly to the control surfaces like in earlier generations of aircraft, but pass through the Automatic Control System which calculates best control surfaces defections based on pilot’s command and current condition of the aircraft. Basically the pilot commands a desired state of the aircraft instead of a control surface deflection and the automatic control system puts the aircraft in that state by making the required corrections instead of the pilot. Problem is that if the hardware is not fast enough or the software is badly written the pilot can input commands faster then the Automatic Control System can react and this induces oscillations in the trajectory as the control deflections lag behind the pilot commands. This problem is exacerbated by pilots not used to Fly-By-Wire as they try to correct the maneuver instead of letting the Automatic Control System do it, and introduce more commands which over-work the system even more. That’s why the first two Gripen prototypes and at least one YF-22 crashed. So it has nothing to do with canard. Nowadays with faster processors and better written software Pilot Induced Oscillations are a thing of the past.